Happiness, health, and good fortune are coming with the Chinese New Year. 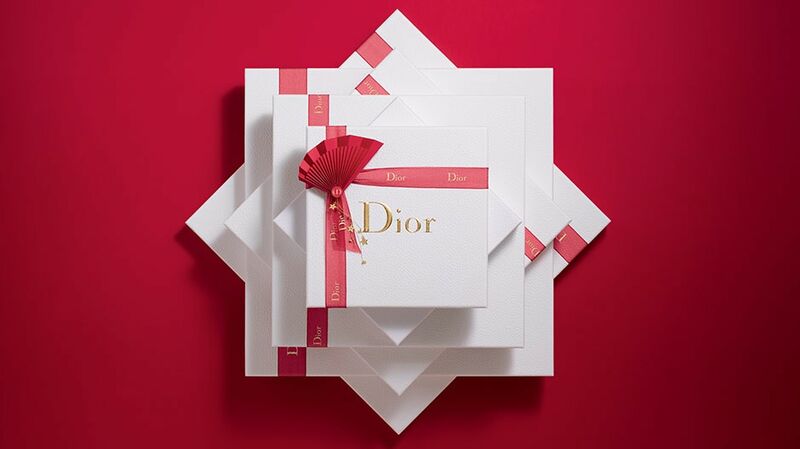 Bring luck to your loved ones with a stunning red gift from Dior. A fortuitous start with this elegant gift box from Dior. Featuring eight star charms and a lucky red fan, give the gift of a New Year’s surprise that comes straight from the heart. As the perfect gifting touch, the iconic and graphic pleated fan adds a so-Couture finishing touch for a lucky new year signed in Dior. With free standard delivery for every order, it is the perfect start to a prosperous year.